← Is Brain Fog a Thing? 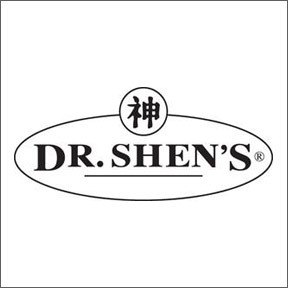 Professional Supplement Center now carries Dr. Shen’s®, a line of high quality Chinese herbal medicines made from the finest imported whole herbs. Founded in 1994 with a goal to provide a purer alternative to imported Chinese medicines, all of Dr. Shen’s® herbal patent remedies are manufactured in the U.S.A. in modern FDA inspected, GMP approved pharmaceutical plants. To ensure the purity of their products only whole herbs are utilized. Every batch is tested for authenticity, dissolvability, mold, microorganisms and heavy metals. No hidden ingredients, drugs, artificial ingredients, chemical solvents, animal products, or plant or animal endangered species are ever found in Dr. Shen’s® Traditional Chinese formulations. Dr. Shen’s® believes their products to be the safest and most potent Chinese medicine available, and feel confident that they provide properly labeled, effective, traditional Chinese medicines of the highest possible quality. Stomach Curing – For fast relief of nausea, simple indigestion, overindulgence, motion sickness or chemo-induced nausea, Stomach Curing (PO CHAI) redirects rebellious stomach QI downward. For occasional use for minor discomforts or other digestive complaints, Stomach Curing is also recommended as a hangover remedy. This is one formula you may want to keep on hand for the upcoming holidays. Vegetarian formulation. Allergy – Allergy provides support for pollen, dust, dander and seasonal airborne allergies, temporarily relieving symptoms such sneezing and itchy eyes and throat. Not recommended for food allergies. Vegetarian formulation. ColdStop Extra Strength – ColdStop Extra Strength (Yin Chiao) is intended to be taken immediately upon exposure or at the first sign of a cold or the flu. Keep this one-day formula on hand during cold and flu season, as the sooner it is taken the better it works. When traveling, take this formula before entering the terminal. Vegetarian formulation. Yin Chiao Pills – Cold Flu – Formulated in the late 18th century, Yin Chiao is Asia’s top selling cold remedy. Taken promptly at the first sign of illness, this formula helps to clear pathogens, relieve toxicity and alleviate irritability. Vegetarian formulation. This entry was posted in Home and tagged allergy, ColdStop Extra Strength, Dr. Shen’s, Professional Supplement Center, Stomach Curing, Vitamins and supplements, www.professionalsupplementcenter.com, Yin Chiao Pills. Bookmark the permalink.